There’s nothing like spring in New York: the flowers blooming, the weather warming up and Broadway shows opening all over the place. As awards season approaches, many shows are popping up with hopes of capturing a prize or several, along with the ones that bowed earlier this season. Here’s our lineup of five musicals you’ll watch to catch – before the Tonys or afterwards – each with a high profile. Says its name three times, and you’ll get a big new musical that’s out of this world. Based on the wildly popular film, this show tells the story of a death-obsessed girl who moves with her family to a house that just happens to be haunted by a recently deceased couple. Oh, and there’s a colorful whizz who she can beckon at will to control everything. It stars Alex Brightman (School of Rock) as the title character, with a score by Australian singer-songwriter Eddie Perfect, a book by Scott Brown and Anthony King (Gutenberg! The Musical!) and direction by Alex Timbers (Rocky). Say Day-O, yes, to this one! It’s subtitled “The Life and Times of The Temptations,” and this new musical gives you that with a rhythm that will have you swaying in your seat. You’ll experience the unforgettable journey of one of Motown’s biggest sensations, as they go through the ups and downs of an astonishing career. Best of all, you’ll get to take in their smooth dance moves as they croon their biggest hits, including “My Girl,” “Get Ready” and “Just My Imagination.” It all comes together as an unforgettable night at the theater, and a deep dive into the lives of a group of phenomenal performers. Remember Dorothy Michaels? She was memorably portrayed by Dustin Hoffman in the enormously popular film from the ‘80s. Well, her heels are being filled by the wonderful Santino Fontana (Crazy Ex-Girlfriend) in this fabulous new musical that takes everything you love about the movie and gives you more. For one thing, the story has been transported from the world of soaps to the land of Broadway, as an out-of-work actor proves he can compete with any ingénue, and maybe even get the girl along the way. This hilarious show features a score by David Yazbek (The Band’s Visit), with direction by Scott Ellis (She Loves Me). People calls it “the most anticipated Broadway musical of the year.” And those are big shoes to fill. At an Indiana high school, a young woman wants to bring her girlfriend to the prom. The powers-that-be say no. But a band of mismatched Broadway stars come together to help their magical night become a reality. Told with plenty of heart, tons of humor and featuring a cast with astounding talent, this is one musical that will sweep you up into its story, with a powerhouse cast that includes Brooks Ashmanskas (Something Rotten! ), Tony winner Beth Leavel (The Drowsy Chaperone) and Christopher Sieber (Spamalot). Rodgers and Hammerstein’s classic musical is usually staged as a sunny view of life in the homeland. But visionary director Daniel Fish keeps some of that optimism and turns much of it on its head in this stirring, searing new interpretation where the music is bluegrass, dark surprises lurk around every corner and chili and cornbread are served at intermission. It all makes for a stunning re-interpretation of a classic that many theatergoers thought they knew by heart – and takes their hearts to astonishing new places. The New York Times says, “How is it that the coolest new show on Broadway is a 1943 musical?” See it for yourself, and you’ll find out why. Take your vacation to the next level with a trip to Universal Orlando – three amazing theme parks await. This is the perfect time to save because ticket prices are increasing soon! 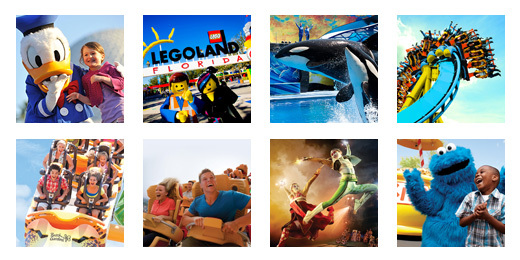 Lucky for you, TicketsatWork.com is featuring a great deal now through April 30 – Save over $155 on Universal Orlando 3-Park Tickets! Grab these ticket savings by today and experience all the rides, attractions and special events at Universal Orlando! Don’t miss the magic and excitement of The Wizarding World of Harry Potter. Enjoy the superb variety of dining and entertainment options at Universal CityWalk. Dive into island life at Universal’s Volcano Bay, a tropical Paradise featuring the best water rides and attractions. The all-new thrill ride Hagrid’s Magical Creatures Motorbike Adventure will open June 13 in The Wizarding World of Harry Potter at Universal’s Islands of Adventure. Plus, on June 27, Universal Orlando Resort debuts the Surfside Inn and Suites, featuring a beach-themed design and surfboard-shaped pool. Now is the perfect time to take advantage of TicketsatWork.com’s awesome special for your next vacation to the Universal Orlando Resort.